Why Buy Edible Swallow / Swiftlet Bird’s Nest from Premium Nest? Established in 1994, NaturalNest™ (which is Trading as Premium Nest in Australia), is a well known and trusted company who delivers the finest bird’s nest globally. We are dedicated to supplying the best quality bird’s nest for the local market and ensuring that all Premium Nest products are completely natural – NO Bleaching, NO Dyeing, and Chemical FREE and adulterants. Guarantee! We comply with HACCP, ISO, FDA & hold import permit from Australian Government Department of Agriculture (Permit#0001722083) so you can be sure that you are only purchasing the highest quality and safest birds nest in Australia. Obtaining these certifications and Australian import permit for edible birds nest requires the intensive quality assurance, dedication and proven expertise in edible bird’s nest industry by the manufacturer and importer. There are only a few companies in Australia successfully obtained the official Australian Department of Agriculture permit to import the edible swallow / swiftlet birds’ nest. 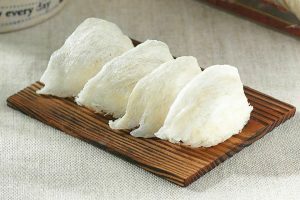 Why Indonesian Swallow / Swiftlet Edible Bird’s Nest? Indonesian edible swallow / swiftlet bird’s nest is one of the finest in the world in terms of quality and has dominated the world market. It breeds in colonies in caves, in a cleft in a cliff or sometimes on a building. The bracket-shaped nest is white and translucent and is made of layers of hardened saliva attached to the rock. It measures about 6 cm across with a depth of 1.5 cm and a weight of about 14 grams. 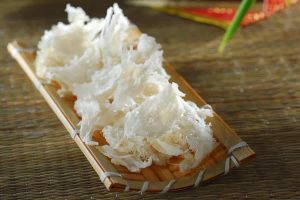 Edible bird’s nest harvested from buildings (or known as house nest by some community) contains richer proteins and amino acids, softer texture, and has strong water retention. Hence, we only produce building nests / house nests. There are three kinds of edible swallow / swiftlet bird nest that we produce, they are Blood Nest, Orange Nest and White Nest. With an experience of over 20 years, our team has contributed significantly to the growth and development of the healthy foods, especially in bird’s nest products, and we take pride of our credibility and transparency of our productions. We strive to improve and keep growing as an company by providing high quality products and world class customer service. Edible Bird’s Nest which was primarily known as Swallow / Swiftlet Nest in the early days was first found during the Tang Dynasty (A.D. 618-907) back in China around 1500 years ago. 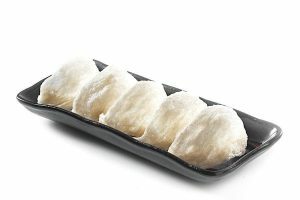 According to ancient historical data, in the classical Chinese Medicine Book (本草綱目) about health food, swallow / swiftlet nest was imported into China from the Southeast Asian region more than 500 years ago, Admiral Cheng Ho (鄭和) brought the precious bird’s nest from Southeast Asia to the Chinese emperor. Since then bird’s nest has been traditionally used by Chinese royalties and ancient beauties and to maintain their beauty and body wellness. 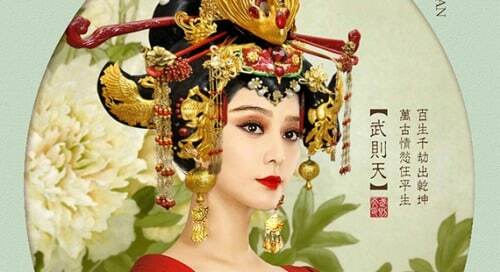 From the classic literary masterpiece heroine Lin Dai Yu (林黛玉) to the enchanting Empress Dowager Tsu His (慈禧) and even the famous travelling Emperor Qian Long (乾隆) of the Ching Dynasty have all been known to consume bird’s nest everyday for its health and beauty benefits. In fact, the Empress Dowager Tsu His dined on not just one, but seven types of bird’s nest dishes for breakfast to preserve her health and youth. Even EmpressWu Ze Tian, the only female Empress in China, is believed to have drunk bird’s nest for its beauty and health benefits. The medicinal benefits of bird’s nest have been carefully documented since it became a superior delicacy and was widely recognised as one of the four great tonic foods in the late Ming (1405-1433 AD) and early Ching (1644-1911 AD) Dynasties. 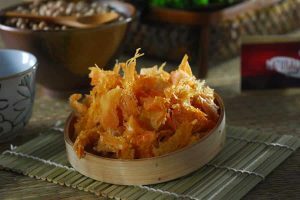 In the medical classic Pen Tsao Feng Yuan (本草逢原), bird’s nest was listed as the most tractable and versatile of foods as “it nourishes the lungs and stops colds as it clears up the chest”. Because of its scarcity, bird’s nest was also seen as a demonstration of wealth and power and widely regarded as items of high value and prestige. 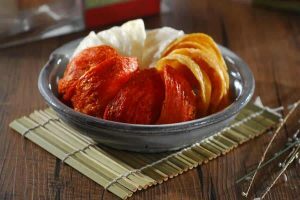 During the golden period in Tang Dynasty’s era, only the family of the Emperor and his court officials has the privilege to consume this supreme delicacy. It was after the era of Emperors ended, that the common people were introduced to swallow nest, where it was now widely termed as bird’s nest. 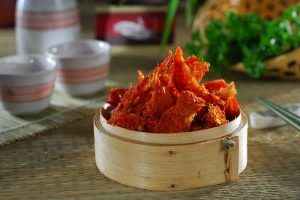 Since then, due to its scarcity and rich in nutritional and historical values, demand and price for bird’s nest remains sky high. Natural Nest in Australia is imported by Natural Global Pty Ltd and distributed by Premium Nest.